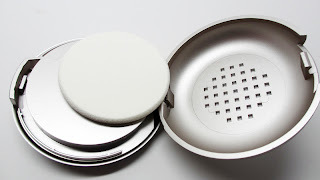 Home coverFX foundation give-away CoverFX Foundation Giveaway! I'm back with an exciting giveaway! 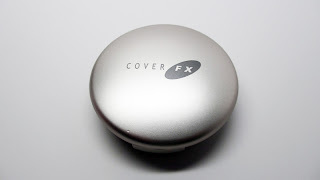 You've probably heard me mention CoverFx multiple times in the last year or two. I love their products, especially their foundations/concealers. Today I'm giving ten lucky winners the opportunity to win their own full sized Cover FX Cream Foundation. Check it out! 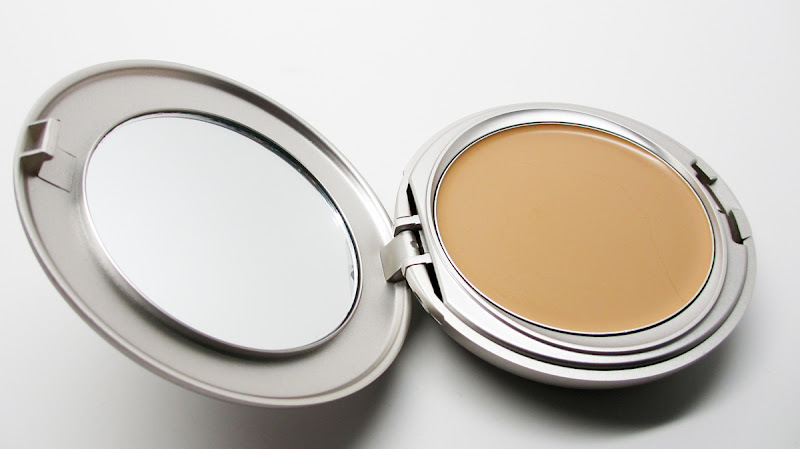 Here's what you'll be getting - CoverFX's cream foundation. 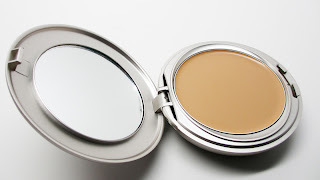 It offers amazing high coverage and can even be used as a concealer. It looks really awesome on the skin - you can get a lot of coverage but it still looks almost natural. I love the versatility of a cream foundation. CoverFX is definitely kit-worthy and also great for the everyday woman. I even applied this straight to the skin with the included sponge and it worked great. 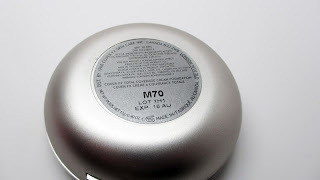 I received shade M70 but it's a bit too light for my NC42 Med Dark Skin Tone. If you're like me, you may want to go up to M80. In the comments, answer this question: "How do you define your individual beauty?" I can't wait to hear everyone's responses! You have till the end of this week and i'll announce the winners next week. Good luck! I define my beauty as a personal expression of my inner beauty. A refined, classic yet fun way to tell my story for the day. I love my beauty inside and out. I define my beauty with my words and actions. It's always easy to throw makeup on to make yourself beautiful. But what happens when makeup isn't enough? I define my beauty with my eyes, they are the window to the soul and that is where everyone is beautiful. My beauty is defined by my sense of humor and free spirit. I always like to have fun with my makeup with bright colors, but I'm also not afraid to face the world with a bare face - as long as I'm laughing and smiling, my beauty comes out. Individual beauty is the positive impression someone leaves upon other through interaction or even just a mere voice or image. It could be done with a joke, a beautifully worn piece of clothing/jewelry or just a smile that lights up a room. Since we are all individuals and beautiful in our own ways, I try to just stay natural with my makeup; no makeup, makeup. :) A big thing that I HAVE to do, though, is define my eyebrows since they frame the face. For me, I have to feel good on the inside to feel good on the outside. Yes, makeup and cute clothing will also make me feel good on the outside, but it only counts when you really feel good inside. I think my individual beauty is still something that I'm learning day by day, understanding how to be comfortable in my own skin. Something I've found is that a beautiful smile is essential to portraying beauty and it really can brighten up someone else's day, which in turn brightens up your own. I define my beauty through my 2 year old daughter. Any features I hated about myself before like my nose I love now because she has inherited from me. When I look at her I don't see any imperfections just a ball of beauty. "How do you define your individual beauty?" Thanks for this giveaway Ren! You just reminded me that beauty is skin deep! My individual beauty is a product of a myriad of influences. From my Filipino heritage, to the eccentricities of the music I listen to, to the images in my head as defined by the beauty that inspires me everyday. It is being true to my core without letting society dictate what is the norm. By loving what I am and accepting my flaws, my body, my curves - I strive to push the boundaries of beauty by acknowledging and embracing textures, by gathering from my experiences and by rebelling against what is expected of me. I am molded by these and that is what makes me individually beautiful. Everyone is...its just a matter of embracing it. My choices in haircut, hair color, clothing and makeup colors, to others, is a definition of who I am. Yes, my choices make me an individual, but I believe it's my unique character that should define my individual beauty. My individual beauty is constantly changing. As I get older, I change, and so does everything about me, inside and out. I don't think I will ever be able to define my beauty, other than to say that it will always be unique, to exactly how I feel. I am always learning new things about myself, and when I do, my "beauty" changes along with it. That is why beauty is so wonderful, it does not have to be defined. Thanks for this girl, your beauty is showing and hopefully people who see this will take the time to give to others as well. My individual beauty is just being beautiful on the inside. My heart is bigger than my ego and no matter what I look like on the inside, nothing can truly make you beautiful like that secret person on the inside. I define my beauty as my actions, words, and decisions! I don't define my beauty, I change constantly like the changing of the seasons. I am whatever I feel like at that moment and can go from dark and gothic to colorful and upbeat. I don't like to label my beauty style, beauty gives me a chance to explore every aspect and go wild. It's my creative outlet. I think every woman has individual beauty, whether inside or out. My Individual Beauty Comes From Within & My Roots Reflect Who I Am. I Have A Strong Passion For Fashion & Make-Up That I Love To Show It Through How I Dress Or Do My Make-Up For The Day. Beauty Is Also Being Confident & Wearing What You Have With Pride No Matter If It's Name Brands Or Not. I define my beauty as kind, artistic and optimistic. I look on the bright side of things. I love art, the feel and colors. What is Beauty?? We are taught that beauty comes from within.M y laughter defines my beauty, this shows the happiness within, when you smile your beautiful!! What is My Beauty? My beauty is when I'm lost dancing in the rain like no one is there to see me. My beauty is when I'm dashing through the beach surf, lungs pounding and hair streaming wild. My beauty is standing outside in the cold of the first snow-storm, when winter streaks my cheeks with a blush that no cosmetics company with all their millions can match. My beauty glows like embers of ice in my eyes and in the nuances of my smile. My beauty blooms in passionate streaks in my Love and Confidence. My Beauty is Me. We are All Beautiful. I define my beauty as confidence. "Confidence is the mother of all beauty." I define my individual beauty as the confidence I carry myself with. I used to be the short chubby girl that got made fun of in class (and the bullying even got so bad that the kids "moo'd" every time I walked by) as time passed I learned to accept my flaws. Makeup is only a TOOL of empowerment, it does not conceal my true identity it only accentuates my beauty. Beauty is accepting your self and knowing that you are worth so much. Beauty is not letting anyone or anything bring you down. Beauty is intelligence, confidence, and kindness. I define my beauty with my individuality. I am like no other. I am a little of everything. It makes me different but it makes me me. The way I see it, beauty has no restrictions. I define my individual beauty through my senses, thorough my eyes that find the purity in the smile of my child, through my hands that hold my husband's rough hands from hard work,through my taste when I enjoy my grandma's desserts,through my ears when I listen the kind words of my friends and family, through my nose when I smell the flowers outside my home, I love to play with colors, textures, I love makeup, I love music, I love painting, I love all that shows a freedom, an art. We need to open our eyes to the beauty around us, in all colors, sizes, ages, that is what make us unique! I define my individual beauty by my words and actions. I live my life by honesty, always, truth is number one for me. And my actions are always positive and never harm another, in any way. I define my beauty by the way I represent femininity to my daughters by being a lady and not just a woman. How do I define my individual beauty? My makeup, while I love it, does not define me. My personality, character, and morals define my beauty. I know that I'm never fully dressed without a smile, and I'm not afraid to remind those close to me that I love them. Knowing that I see the beauty in the world around me and not being afraid to love is what allows my individual beauty to shine through to the world around me. - My individual beauty is growing and transitioning, as well as multifaceted. I love makeup BUT I don't where it everyday, not even close to everyday. 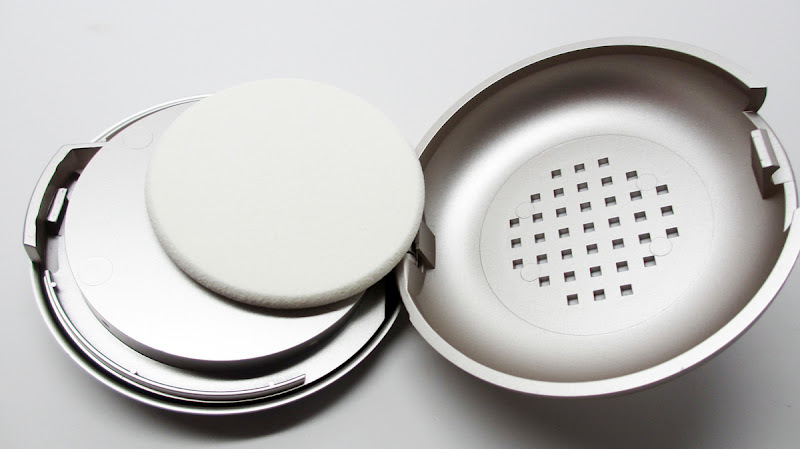 Makeup is like a handbag or shoes, but better; the perfect accessory. My individual beauty is defined by my ability to truly love and accept myself physically and emotionally. I define my individual beauty as what radiates from inside. When you feel amazing, you look amazing. The best bronzer in the world can't hold a candle to the natural glow of feeling absolutely incredible about you. I would definitely call myself a little rough around the edges. I don't execute things the way other people may and I don't always abide by social constructs. I am not afraid to step outside of the box, even if everyone will be apprehensive to follow me. But I am not afraid. I am confident in myself and my beliefs. This confidence is my individual beauty. I hope and wish that more woman would have this inner confidence. You are beautiful, but no one else will believe it until you do first.